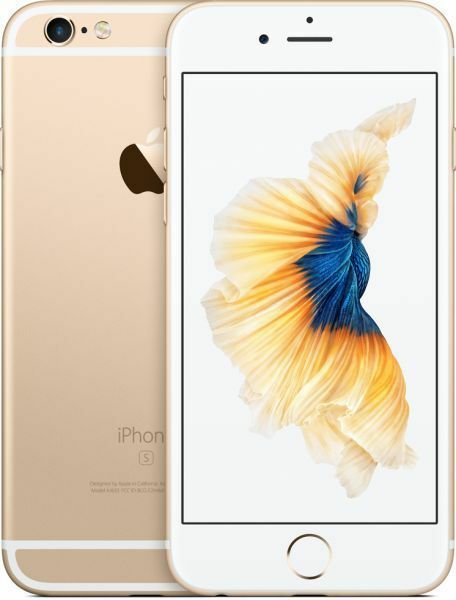 The Apple iPhone 6S is a uber stylish, all metal smartphone that incorporates several cutting edge features. This advanced device comes loaded with iOS 9 OS that includes enhanced Siri, powerful built in apps, and more. The mobile’s large 4.7inch Retina HD display with 3D Touch technology features a maximum resolution of up to 1334 x 750 pixels. The phone comes fitted with Touch ID fingerprint scanner that provides you with a secure, simple way to unlock this device and sanction Apple Pay transactions. A svelte gold color instantly grabs the attention of everyone around you. The device’s installed applications and onboard features function without a hitch as they are seamlessly powered by an enhanced A9 chip. A 32GB built in storage effortlessly accommodates lots of data. This smartphone supports 4G LTE connectivity. It also features an advanced onboard 802.11a/b/g/n/ac specification WiFi with MIMO for connecting to available wireless hotspots.